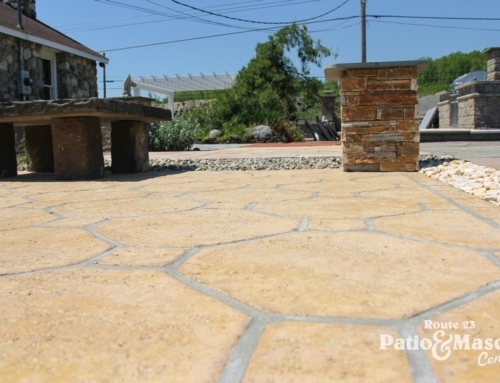 The guys over at Route 23 Patio & Mason Center have been bringing living rooms and kitchens outside since the 1970s, helping families in the Tri-State-Area install everything from patios and retaining walls to entire outdoor kitchens. One of Route 23 Patio’s hottest (literally) selling items is their fire pit kits—and they know how to use them. 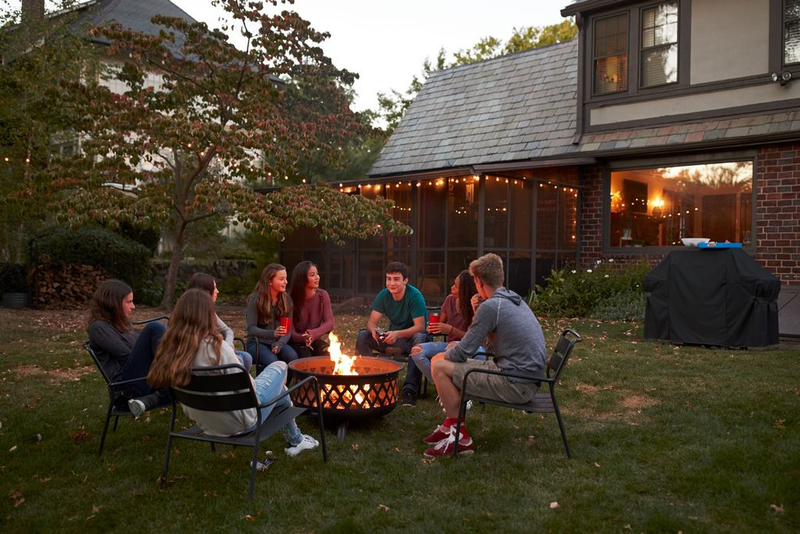 To kick off summer, these local outdoor entertaining pros are sharing their favorite fire-pit-friendly recipes with us. They’re not just for ice cream anymore. Method: You and your crew sit around the fire pit, cones in hand. Take turns passing around the other ingredients. Peanut butter lovers stock up on Reese’s, PB, and chocolate. Fondue aficionados take the strawberry, chocolate, and marshmallow route. Each person personalizes their cone, thoroughly wraps it in tinfoil, and pops it onto the fire pit’s grill. Let it roast for about five minutes. Safely and carefully poke the cones out or use a long pair of tongs. Let them cool until they’re safe to handle. Unwrap and enjoy. • Condiments: ketchup, mustard, relish, etc. Method: Pop open and unravel your crescent rolls, separating into triangular pieces. Drizzle your condiments inside the triangles, then roll wrap them around your hot dogs. Skewer the dogs, and let ’em roast on the open flames until the dough is golden brown, about 10-15 minutes. Swap out those fireside beers for champagne and OJ. Method: Remember how exciting it was to have breakfast for dinner? Take this to the next level by enjoying a brunch staples over the fire. Start with the potatoes. Lob off one side lengthwise, then scoop out much of the inside (save scraps for another meal). Toss cheese into the semi-hollowed-out potato, and crack and egg over it. Wrap tightly in tinfoil and place on the fire pit’s grill for about 15 minutes. Now we get fancy. Take your oranges and cut a 2-inch circle out of the top and remove the fruit (eat it, or save for later). Pop open the cinnamon rolls. Pop a cinnamon roll into each orange. Wrap each orange in tinfoil and pop it onto the fire pit’s grill. Let it hang there for about 12 minutes. And because bacon is king, skewer your bacon and roast it marshmallow-style while you wait for your eggs, potatoes, and cinnamon rolls to cook. Take your potatoes out of the fire, sprinkle with salt and pepper. Take out the cinnamon rolls and drizzle icing on top. Eat your bacon right off the skewer or crumble and sprinkle it on top of the egg…or cinnamon roll…or both. Method: Take a big piece of tinfoil. Place your tortilla on it. Cover half of the tortilla with cheese. Sprinkle some onions on top of the cheese. Fold the tortilla in half, and wrap the tinfoil around it. Pop it into the grill for 3 minutes, flip it over, and roast for another 3. Serve with salsa and sour cream. Method: Stack your skewer with your favorite fruits with pieces of pound cake. Warm it over the fire, grilling lightly. Top with whipped cream.